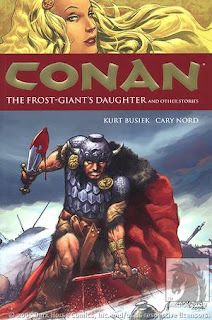 Conan of Cimmeria is a barbarian, in the traditional sense of the term. Fur covered, sword in hand, he sets out from his southern homeland to journey to the fabled lands of Hyperborea, to discover it's riches, wonders and women for himself. On the way he gets caught up in a feud between the Aesir and the Vanir and his travels take an unexpected turn. These stories are based on Robert E Howards original writings and follow the plots fairly closely. It's your classic swords and sorcery adventure, filled with warriors, magic and mythological beings. Courtney Crumrin is the daughter of two desperate social climbers who have been living beyond their means for far too long. Having run our of credit cards, the Crumrins are moving to Hillsborough to live rent-free in the mansion of great-uncle Aloysius, who needs caring for. 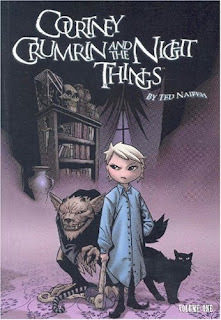 It would be bad enough for Courtney living in a dark, creepy old house and being looked down on by all the rich kids at her new school but there are also strange creatures… “Night Things” her Uncle Aloysius calls them, and a whole world of magic for her to discover. Apologies for the delay in posting. It turns out that accurately predicting the future is not my forte. That said, enjoy the review. This is one of DC's Elseworld's titles. The term Elseworlds refers to books where the characters are "taken from their usual settings and put into strange times and places, some that have existed, and others that can't, couldn't or shouldn't exist". 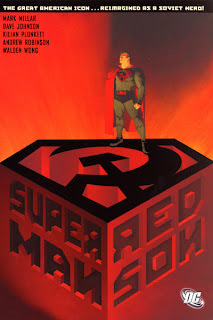 In this story Superman's rocket from Krypton lands on a Ukrainian Collective farm in the Soviet Union, not a Kansas farm in America. Subsequently he is brought up as a faithful Communist instead of the more familiar American icon. His 'S' shield is substituted for a sickle, the Cold War takes a sharp new turn and America becomes the last bastion of capitalism. Lois Lane never marries Superman and Lex Luthor becomes an American hero. Tara Chase is Minder Two, one of three Minder operatives employed by the British overseas intelligence service MI-6. 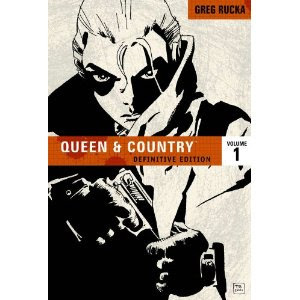 Queen & Country is a procedural spy drama, exploring not only the operations of Tara and her fellow Minders abroad but also the politics of MI-6 at home. On 17th June 2010 the School of Advanced Study, in the Institute of English Studies, in the University of London (how's that for a mouthful?) will hold a one day inter-disciplinary conference aiming to explore the medical narrative in graphic novels and comics. Paul Gravett, Brian Fies and Marc Zaffron will be keynote speakers, delegate booking fees are £35 per person, or £25for speakers and concessions. More information on the website. Apologies for the delay in posts. Real life has caught up with us but we hope to post some more reviews soon.